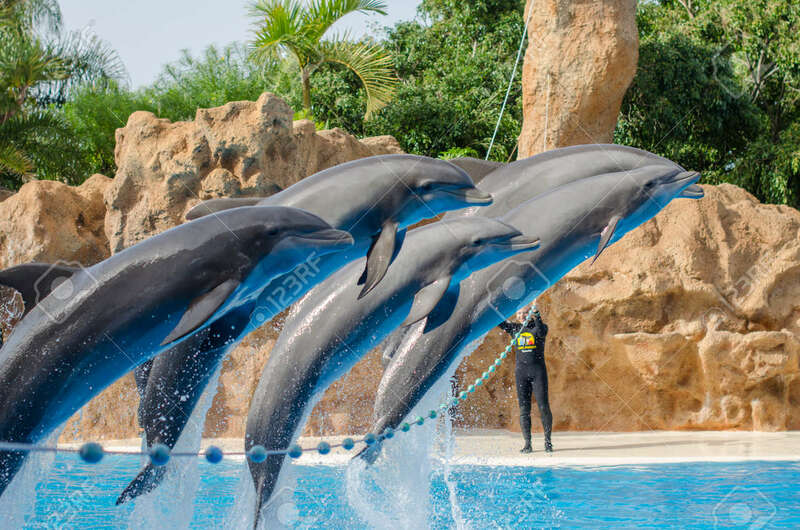 TENERIFE, SPAIN - DECEMBER 16, 2013: Show With Dolphins In The.. Stock Photo, Picture And Royalty Free Image. Image 50499160. Stock Photo - TENERIFE, SPAIN - DECEMBER 16, 2013: Show with dolphins in the pool (Loro park). Loro Parque, Puerto de la Cruz, Tenerife, Canary Islands, Spain. TENERIFE, SPAIN - DECEMBER 16, 2013: Show with dolphins in the pool (Loro park). Loro Parque, Puerto de la Cruz, Tenerife, Canary Islands, Spain.